"Lawyers, as officers of the court, should be the first ones to encourage the people to respect and not to question the decision of the highest court," Roque said. MANILA, Philippines — The Integrated Bar of the Philippines has no legal standing to seek the reversal of the Supreme Court ruling ousting former Chief Justice Maria Lourdes Sereno, Malacañang said Wednesday. 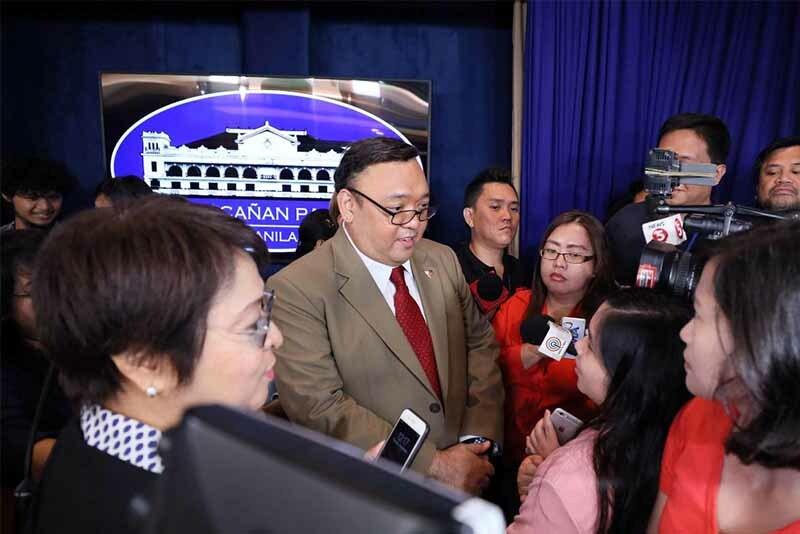 Presidential spokesman Harry Roque said the IBP, the national organization of lawyers in the country, was not affected by the high court's decision. justice," Roque told state-run radio station Radyo Pilipinas. Roque said the IBP should just respect the decision of the Supreme Court, which marked the first time justices booted out a sitting chief justice. "I think the decision will not change. Lawyers, as officers of the court, should be the first ones to encourage the people to respect and not to question the decision of the highest court," the presidential spokesman said. Last month, the Supreme Court, voting 8-6, invalidated the appointment of Sereno because of her failure to submit her complete Statements of Assets, Liabilities and Net Worth to the Judicial and Bar Council. In its 153-page ruling written by Associate Justice Noel Tijam, the high court said Sereno is not eligible to become the chief magistrate because of a lack of integrity. The court acted on a quo warranto petition by the Office of the Solicitor General, the government's chief lawyer, but President Rodrigo Duterte claimed to have no involvement in the effort to unseat Sereno. Sereno claimed that the justices who backed the petition destroyed the judiciary and violated their oath to defend the constitution. The IBP has asked the Supreme Court to reverse its ruling, saying the high court acted beyond its authority when it decided to remove Sereno from her post. The group maintained that impeachment, a power vested in Congress, is the only means to remove a sitting chief justice.